Of the two general approaches used to treat atrial fibrillation, the approach that aims to restore and maintain a normal heart rhythm (the rhythm control approach) on its face seems more desirable. However, because this approach can carry substantial risk and is often not completely effective. It is not right for everyone. The rhythm-control approach includes two general steps: restoring and then maintaining a normal heart rhythm. 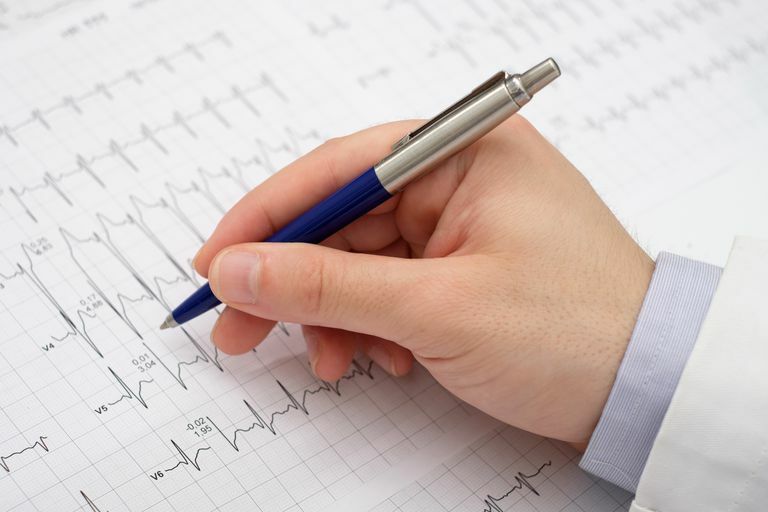 If you are in atrial fibrillation, your doctor can attempt to restore your normal heart rhythm by using antiarrhythmic drugs or electrical cardioversion. Several antiarrhythmic drugs can be given intravenously in try to stop the atrial fibrillation and restore a normal rhythm. These include Tambocor (flecainide), Corvert (ibutilide), Rhythmol (propafenone), and Tikosyn (dofetilide). However, these drugs will successfully restore a normal rhythm only 50 percent to 60 percent of the time, and there can be side effects. Most cardiologists prefer electrical cardioversion instead. With electrical cardioversion, you will be placed in a light, anesthesia-induced sleep for a few minutes. The doctor will administer an electrical discharge to your chest using a set of paddles. This procedure is painless, quick, safe and nearly always effective. The major complication of cardioversion is not from the procedure itself, but rather is a consequence of a successful cardioversion. If fresh blood clots are present in the atria when the heart starts beating normally again, the clots can break loose and cause a stroke. (This can happen at any time with atrial fibrillation but is slightly more likely to occur right after a normal heart rhythm has been restored.) This event is uncommon after a cardioversion, but when it occurs it can be devastating. The risk of post-cardioversion stroke can be substantially reduced either by treating with an anticoagulant drug (blood thinner) for several weeks before performing the cardioversion or by documenting that there are no clots in the left atrium by performing a transesophageal echocardiogram prior to cardioversion. Further, if it is certain that the atrial fibrillation has been present for less than 24 hours, the cardioversion can be performed with relative safety. This first step to rhythm control—restoring a normal heart rhythm—is successful more than 98% of the time. The real trick to rhythm control is maintaining a normal heart rhythm once it has been restored. Typically, with the first episode of atrial fibrillation, most doctors will simply restore a normal rhythm and send the patient home with no specific heart rhythm therapy (aside from treatment, of course, for any suspected underlying causes for the atrial fibrillation). Many people will maintain a normal rhythm for months or even years without antiarrhythmic drug therapy. However, sooner or later the atrial fibrillation is likely to recur. When that happens the "maintenance" phase of the rhythm control method becomes much more complicated. Most typically, once normal rhythm is restored the doctor will recommend one of the antiarrhythmic drugs to help prevent a recurrence of the atrial fibrillation. Unfortunately, antiarrhythmic drugs, aside from being among the most toxic drugs used in medicine, are only moderately effective at keeping the atrial fibrillation from coming back. Consequently, achieving the goal of rhythm control often requires several "trials" with these drugs, looking for one that both maintains a normal rhythm and is sufficiently tolerated. Even with a painstaking trial-and-error approach, an antiarrhythmic drug that achieves good control of the atrial fibrillation without causing intolerable side effects will be found only about half the time. This kind of success rate with antiarrhythmic drugs obviously leaves much to be desired. For this reason, doctors and researchers have been hard at work for more than a decade to develop safe and effective methods to "cure" atrial fibrillation—that is, to maintain a normal heart rhythm permanently—using catheter-based ablation procedures. While a lot of progress has been made, ablation therapy for atrial fibrillation is still only partially effective and still carries a substantial risk of serious complications. Ablation is a good option for some patients with atrial fibrillation, but it is not for everybody. Finally, in patients who achieve successful rhythm control with drugs or ablation, evidence so far indicates that their risk of stroke remains elevated. So, most experts recommend these patients remain on chronic anticoagulation therapy despite being in a normal rhythm. If the rhythm-control approach for treating atrial fibrillation was reliably safe and effective, then it would be used in virtually everyone who has this arrhythmia. Unfortunately, while rhythm control is clearly the best approach for many people, it leaves much to be desired. This is why the alternative approach—rate control—is used instead in so many patients. And this is why you need to learn as much as you can about all the alternatives before you decide on the right atrial fibrillation treatment for you.